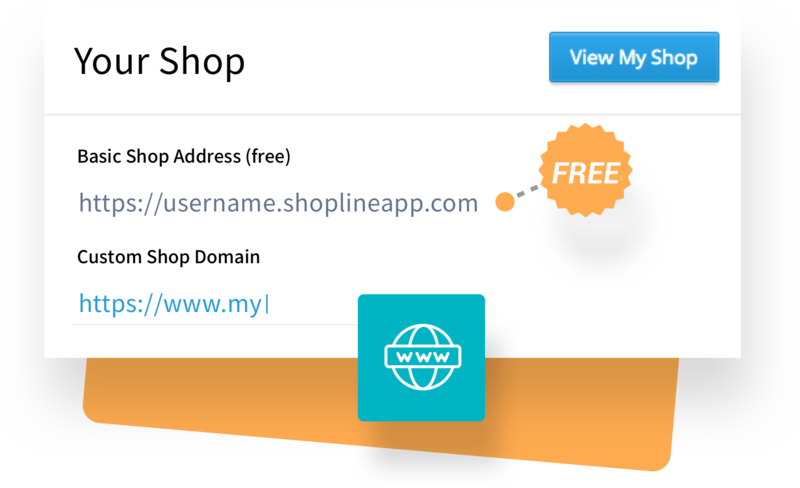 SHOPLINE provides your store with a unique custom domain to help you stand out. Simply choose your preferred domain name in your admin panel to increase your brand visibility and trust with customers. If you already own a domain, we help you to connect it to your store, no matter where you bought it. A professionally designed store leaves a great first impression to your customers as they start their shopping journey with you. SHOPLINE offers a wide range of mobile first designs that are well suited for different brands and industries. There is additional flexibility for you to further personalize your design to bring out your unique brand values. 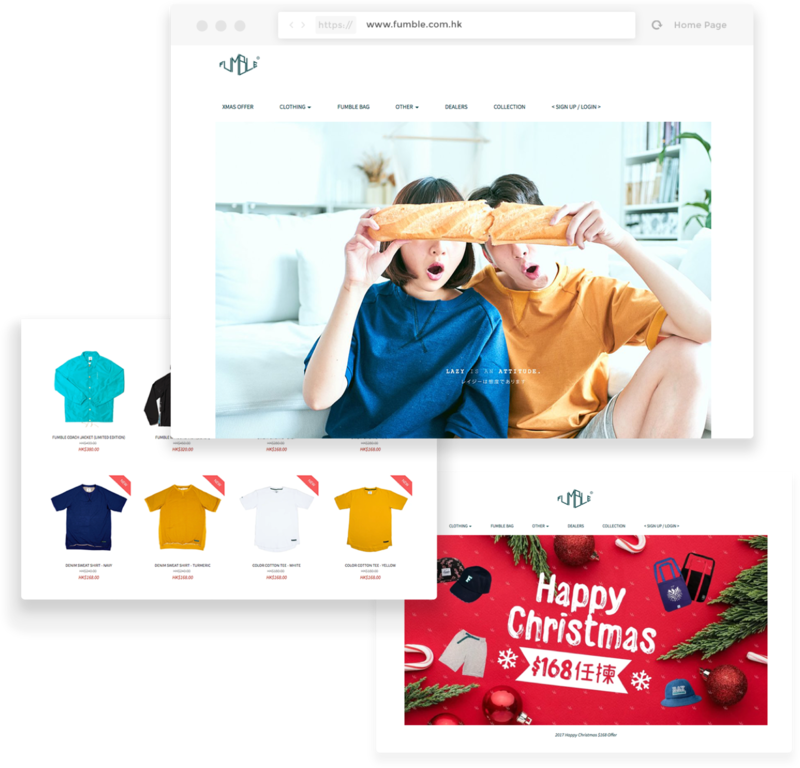 A great shopping experience requires not just great products, but also vibrant images and videos to bring out the best visual experience for each page your customer visits, building up your brand value page by page. 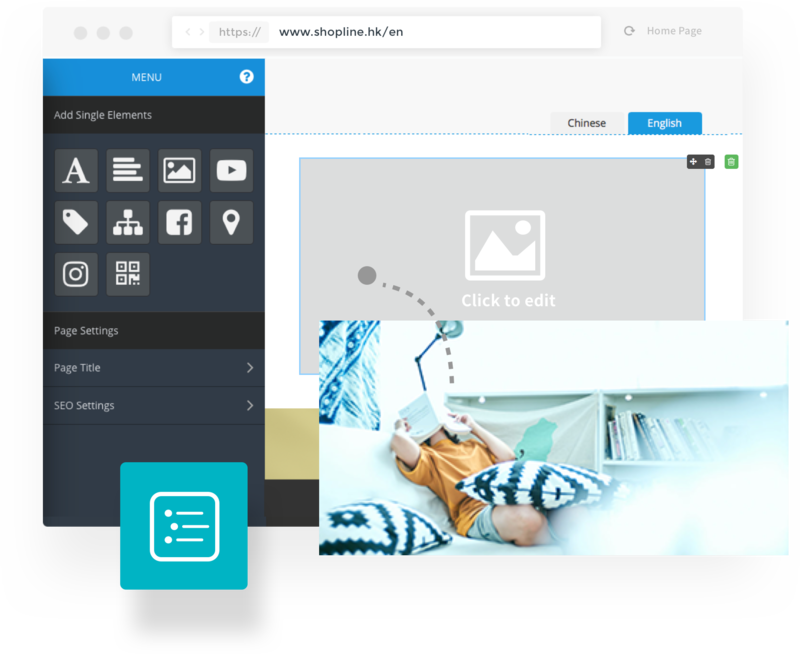 Using SHOPLINE’s advanced page layout editor, you can freely design different layouts for campaign pages, landing pages, product pages using our “drag-and-drop” tool. You can also further customize your design using CSS and HTML. Our advanced page editor provides more than 10 modules to choose from. 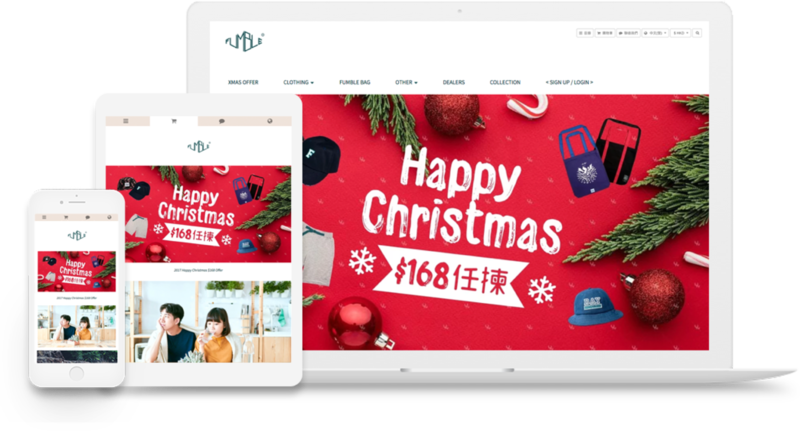 All of SHOPLINE designs are mobile-responsive, delivering the best user experience whether your customer is on a mobile phone, tablet or desktop. 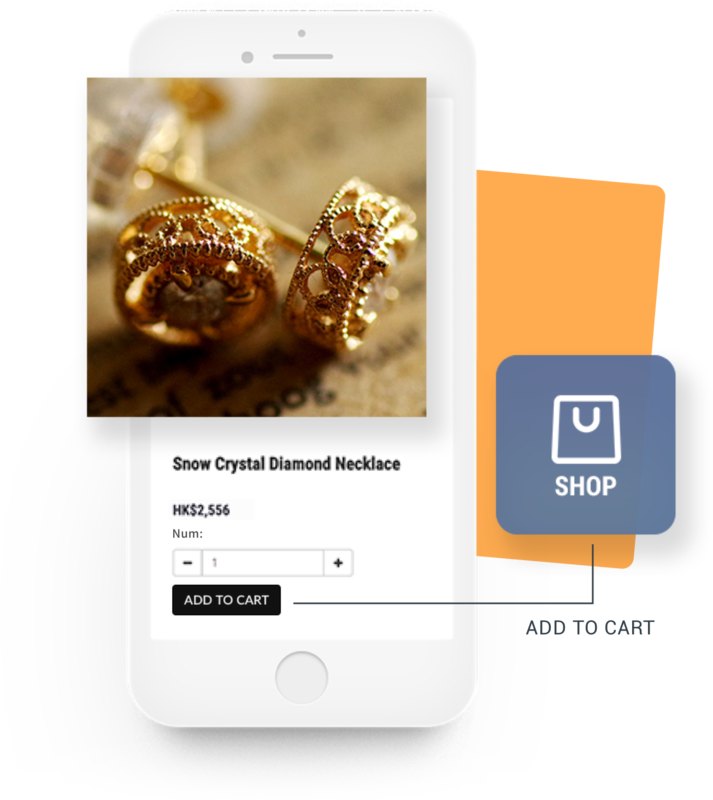 Your store smartly adapts to different types of devices and screen sizes, and you only have to design once. SHOPLINE has designed a unique sales tool - One Page Store - for this generation of consumers who often have shorter attention spans and always have their phones at hands. Promoting selected products with this tool is an intuitive way to capture your consumers’ attention, simplifying complicated shopping cart steps and guiding them to checkout in the fastest way possible.